Free Shipping Included! Complete Legacy Set by Provident Distribution Group at Chocolate Movie. MPN: 121746. Hurry! Limited time offer. Offer valid only while supplies last. Dr James Dobsons BUILDING A FAMILY LEGACY campaign includes films, Bible studies and books designed to help families of all ages and stages. Dr.
Dr James Dobsons BUILDING A FAMILY LEGACY campaign includes films, Bible studies and books designed to help families of all ages and stages. 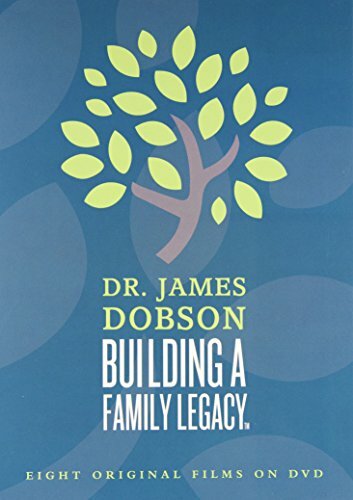 Dr. Dobsons wisdom, insight and humor promises to strengthen marriages and the remarkable challenges of raising children. Most importantly, BUILDING A FAMILY LEGACY will inspire parents to lead their children to personal faith in Jesus Christ. If you have any questions about this product by Provident Distribution Group, contact us by completing and submitting the form below. If you are looking for a specif part number, please include it with your message.